5 Ways to Celebrate Dark Sky Week! 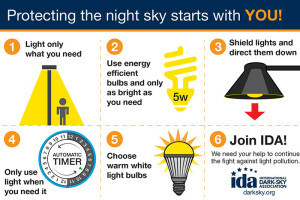 Home » Advocacy » 5 Ways to Celebrate Dark Sky Week! 1. During International Dark Sky Week, get together with friends and family and go outside at night. A lot of us don’t take the opportunity to experience the nighttime environment. Go outside, look up and look around. Lots of interesting stuff is happening during the night hours. Go explore! Better yet, visit one of our International Dark Sky Places! 2. Help spread the word about light pollution and the importance of dark skies. This week is a great excuse to talk with friends, family, neighbors, your homeowner’s association or government representatives about why protecting our night environment is so crucial. We have Dark Sky Week resources to help start the conversation. 3. Become a citizen scientist and collect data about the night sky in your neighborhood for Globe at Night. It’s fun, easy and you’ll be helping scientists across the globe better understand the threat of light pollution to our planet. 4. Stopping light pollution isn’t just about seeing the stars. There are other important things at stake, too. Use this week to take the time to learn more about the effect of artificial light at night on human health, the environment, energy waste, crime and safety and our heritage of night skies. 5. Join the conversation! 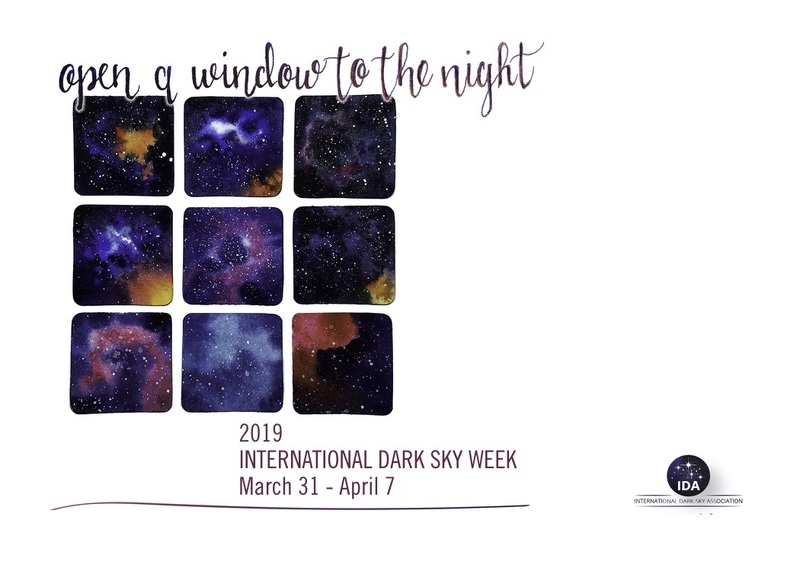 Use the hashtag #IDSW2019 on social media to share how you’re celebrating International Dark Sky Week and connect with other people passionate about dark skies. Find IDA on Facebook and Twitter.